There's something about Ted Kaczynski, a.k.a. 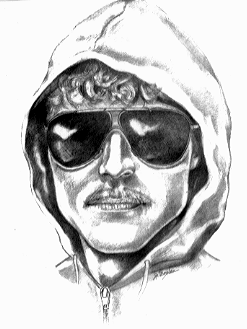 the Unabomber, a.k.a. Peanut the Kidnapper, that always makes me laugh. The FBI launched one of the largest and most expensive investigations ever to find him, but it was his own writing that eventually led his brother to discover the Unabomber's real identity. What was the tip-off? Other than the content, there was a specific phrasing that gave him away. We often use the phrase "Have your cake and eat it, too" despite the fact that the phrase makes little literal sense. The older form of the phrase is "one can't eat their cake and have it, too." This makes both literal and figurative sense and was the version that Kaczynski used in his now famous manifesto. Did-in by his own writing. That's how they're going to eventually catch Murilee. The bad news is; mom committed suicide by sitting in the car with the garage door down for an hour. The good news is; she also made dinner. For some reason this seems like the perfect way to cook Steakumms.